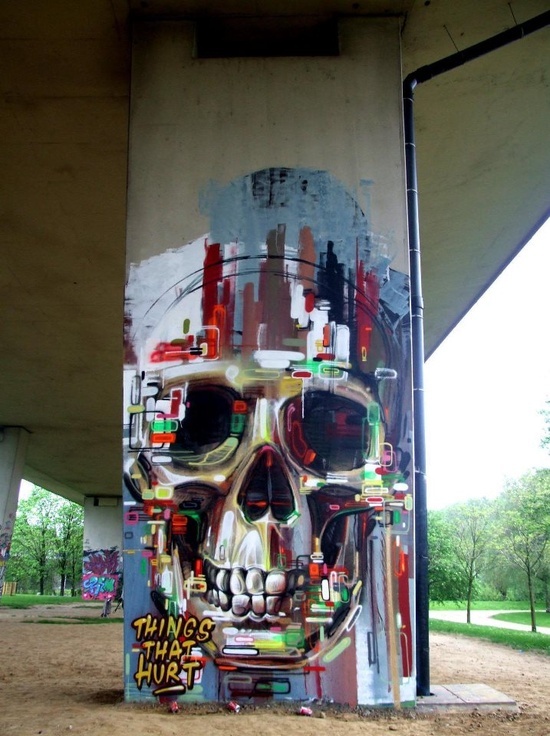 This cool skull graffiti has been created by Steve Locatelli, a famous Belgian graffiti artist. He likes doing things on the street so that a maximum number of people can see his work. Steve grew up in Belgium, started his street art with seeing stuff in the streets of Brussels. The last ten years he made a living with workshops, doing assignments and opened a shop where he sells his work. He now lives and paints in Antwerp, shows and sells his work in Europe and travels the world for his murals.